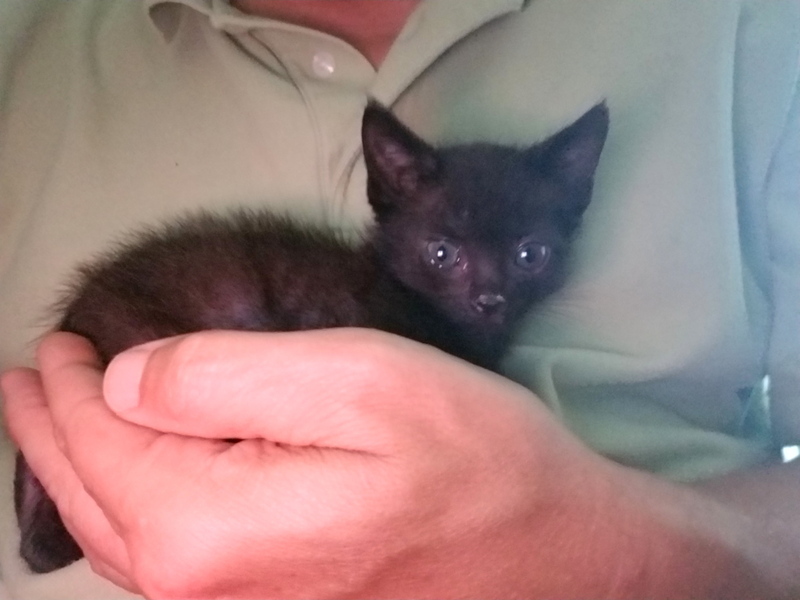 Today is Black Cat Appreciation Day, a day to appreciate all black cats and dispel those outdated beliefs and superstitions that black cats are bad luck. 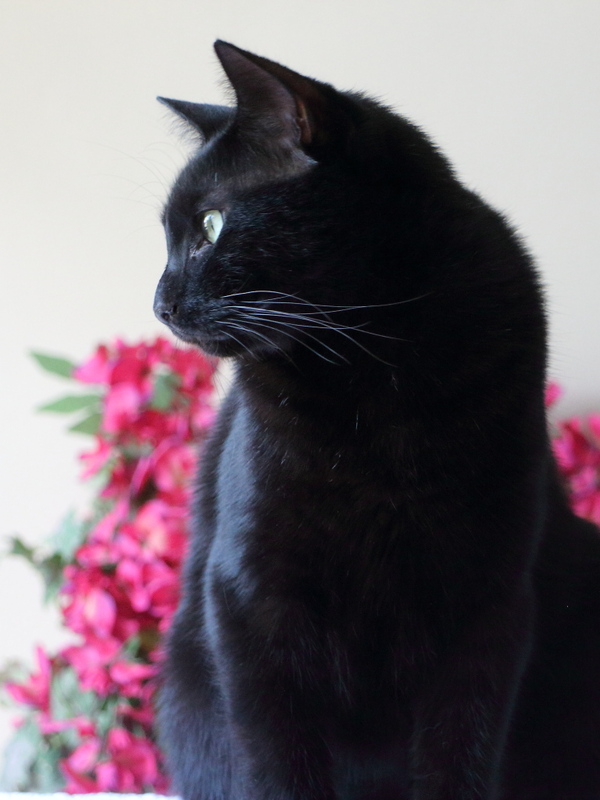 Did you know that some countries and cultures believe black cats are good luck? We considered ourselves lucky to have Puck and we really appreciate him. He is like the eye of the hurricane around here. Puck remains (mostly) good while badness is happening all around him. 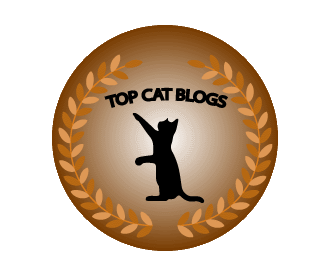 This entry was posted in Uncategorized and tagged black cat, Black Cat Appreciation Day, cat, cute, well behaved on August 17, 2016 by Charles Huss. 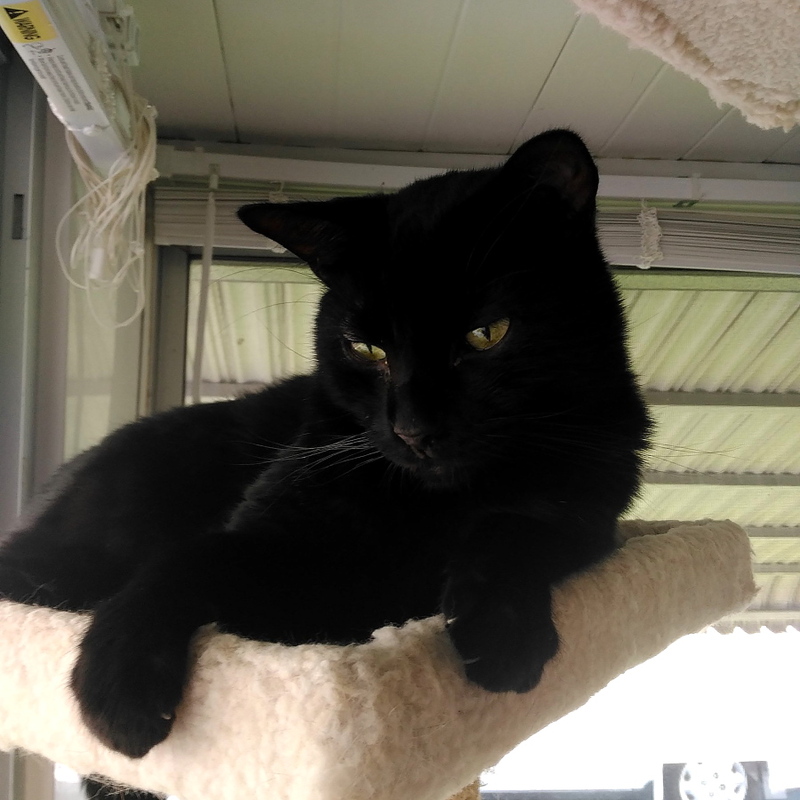 Today is Black Cat Appreciation Day and we sure appreciate having our resident house panther, Puck, who is always very well behaved when he is not pooping on the couch. 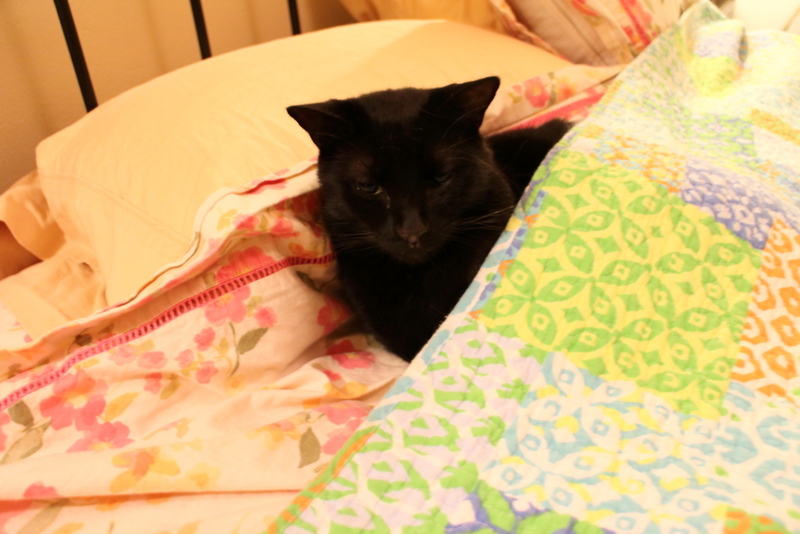 This entry was posted in Uncategorized and tagged black cat, Puck on August 17, 2015 by Charles Huss. I don’t think cats can “technically” smile but it looks like that is what Puck is doing in this picture. 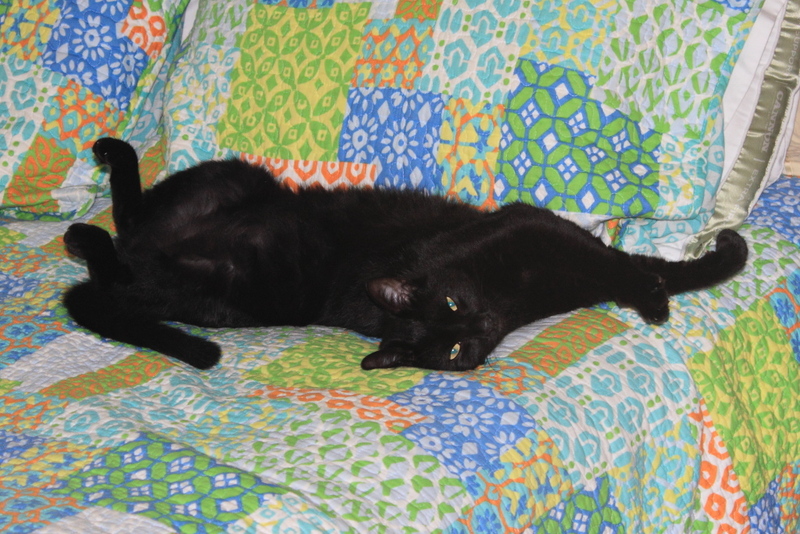 This entry was posted in Uncategorized and tagged black cat, cat, cute, smile on August 14, 2015 by Charles Huss. I did Frankie’s profile four weeks ago and though I would show Puck’s profile this week. Puck is a difficult cat to photograph but I think this photo is pretty good. What do you think? 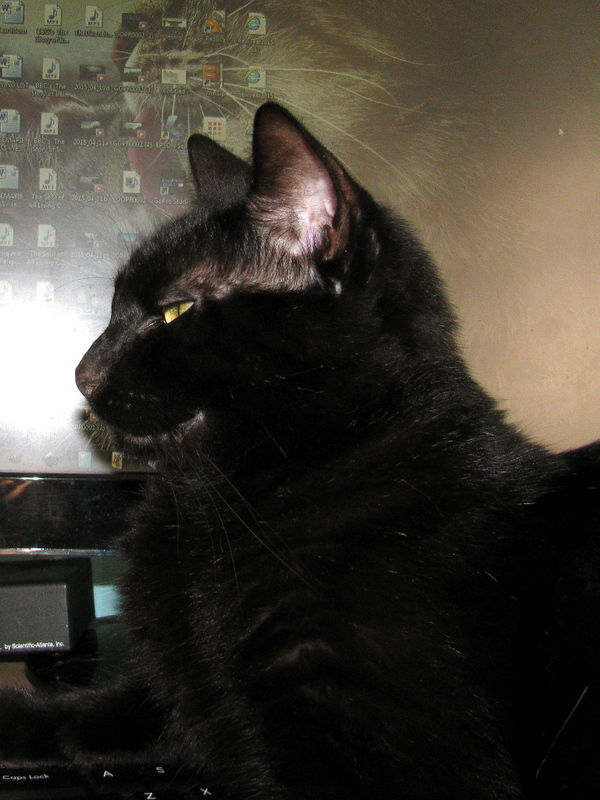 This entry was posted in Uncategorized and tagged black cat, cat, cute, profile, wiskers on April 24, 2015 by Charles Huss. 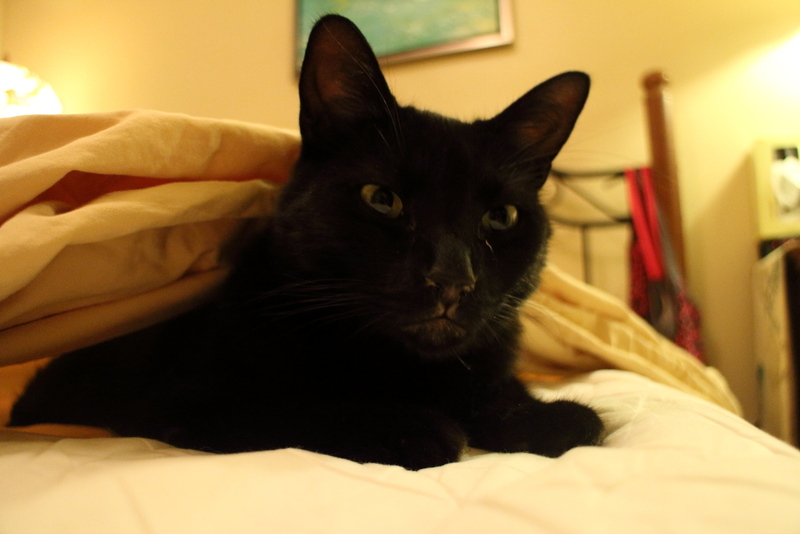 Puck, being a black cat, is somewhat difficult to photograph and I have very few good photos of his face. This one of him with Frankie is not perfect but I like it. What do you think? 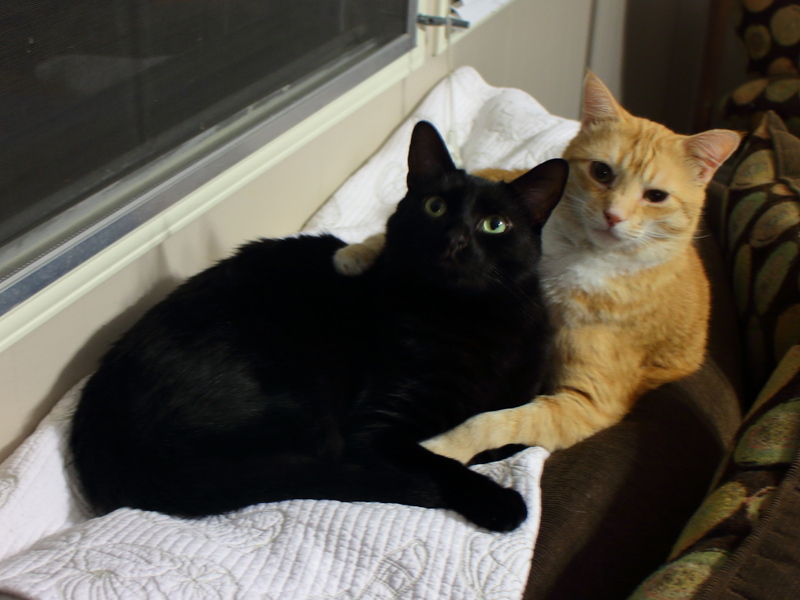 This entry was posted in Uncategorized and tagged black cat, Cats, cute, photograph on March 20, 2015 by Charles Huss. 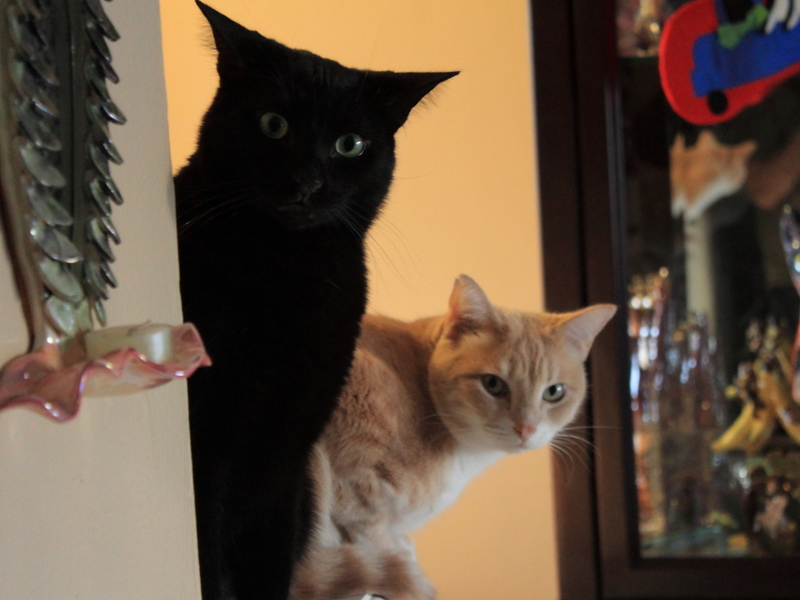 Believe it or not, there are some cats that don’t run out the door to greet the “monsters” on the other side. For those, you will want to have some good hiding places for them to “hunker down” this evening. 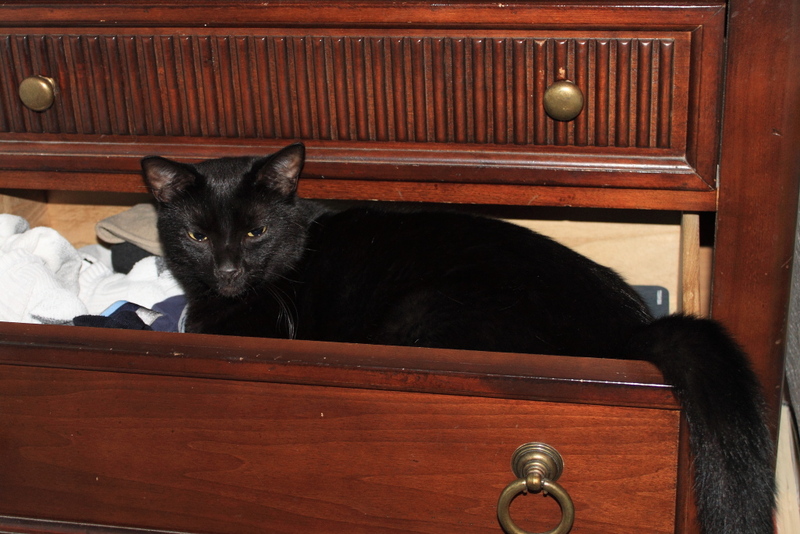 I recommend a good-sized sock drawer. 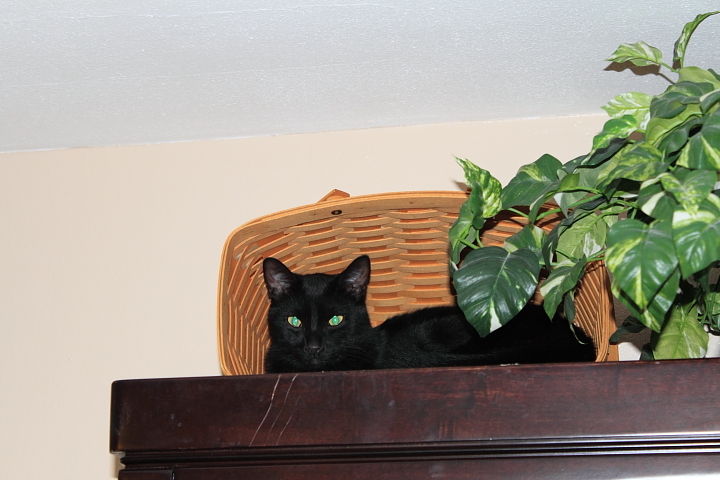 This entry was posted in Uncategorized and tagged black cat, Cats, cute, Holoween, safety on October 31, 2014 by Charles Huss.